Todd Smith, one of the founding fathers of the speakeasy-style bar Bourbon and Branch, has announced he will be leaving the bar to pursue new ventures, possible opening his own bar in the future. Although he is leaving the bar, he plans to stay connected with the popular Beverage Academy program there. 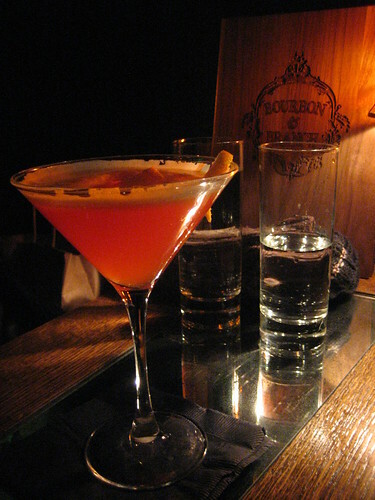 Smith created many signature cocktails at Bourbon and Branch, including the Aperol Sour, pictured above. Bourbon and Branch is one of the bars that paved the cocktail revival in San Francisco within the past few years. You can find the recipe for the Aperol Sour, as well as read all about the cocktail revival in the Bay Area in this very excellent article in San Francisco Magazine.